So where is the Cangrejal River: how do I get there? what should I expect? The Cangrejal River, located just outside the city of La Ceiba on the Caribbean coast of Honduras is often overlooked by tourists as they travel through town on their way to the Bay Islands of Honduras. Most tourists are so hurried by their quest to get “scuba certified” that they don’t even realize that they are next to one of the most beautiful areas for nature and adventure travel in Central America! The first question: Cangrejal River: how do I get there? Is easy to answer. You need to come to the city of La Ceiba. If you are on your way to the Bay Islands of Utila, Roatan or Guanaja, then you are most surely traveling to the city of La Ceiba! The Cangrejal River flows right through the city, however the area worth visiting is 6 miles upriver from town. I must warn you, the river looks rather unimpressive when you are in town and even as you start to drive up the road towards the tourist area of the Cangrejal River. Do not let this disappoint you, continue your journey, you will be happy you did! Just two miles up from the CA13 road where you took the detour, you will begin to see the Cangrejal River is its entire splendor. Believe me, it only gets better from here! The second question: what should you expect? You should expect to find 10 different lodging options in the Cangrejal River, that range from hostel to boutique inns. 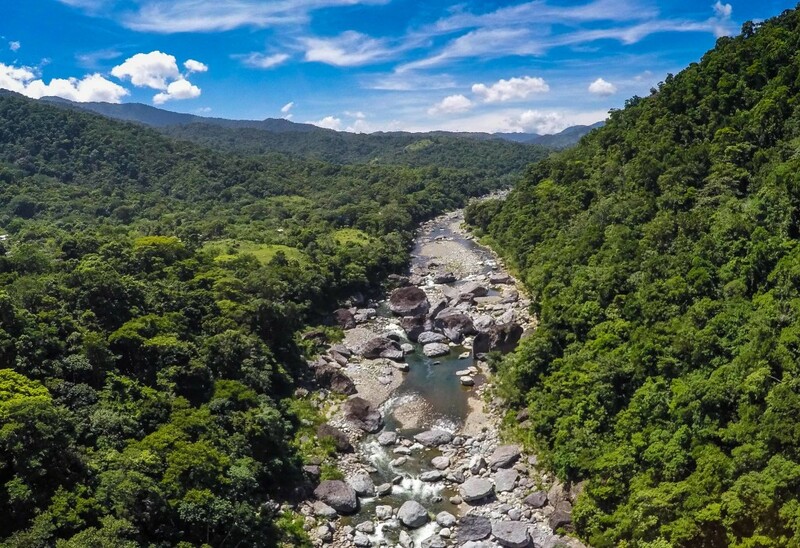 These are generally next or close to the river, and they are not only affordable, comfortable and unique, they are also strategically located so that you can enjoy a variety of different activities available in the area, that span white water rafting, zip line canopy tours, hiking and or birdwatching, etc. This being said, if you are on your way to the Bay Islands, do yourself a favor, and take the time to spend a couple of nights at La Villa de Soledad B&B one of the premier boutique inns in the Cangrejal River. The Cangrejal River: how do I get there, what should I expect??? Now you know the answers to both questions do yourself a favor and check it out, you will be glad you did! One last word of advice: many business people on the Bay Islands try hard to keep their guests there as long as possible, and they may offer some “advice” and recommend you stay away from the mainland for safety reasons. This is a lot of BS and offers no facts or reasons that will hold any ground except for selfish self promoting of their business!